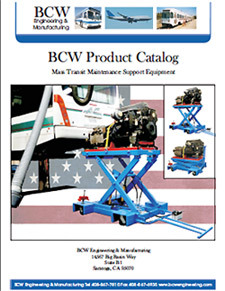 BCW specializes in maintenance support equipment for the airline, bus, and light rail transportation industries. We also manufacture specialized canvas phenolic stripping blades and scrapers for aviation, industrial and commercial applications. We design all of our products for safety, strength and durability. We are also a qualified US military & government supplier and are ISO 9000 compliant. We have been operating in California since 1976 and our products are designed and manufactured in USA. Our customer base spans the globe.